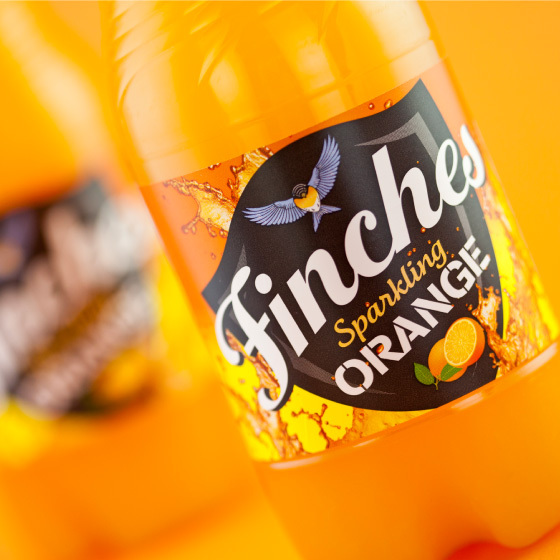 The Finches soft drinks range was redesigned in 2012. The convenience and supermarket variants had always been printed on film and were re-issued in that format in 2012. Even at that time it was recognised that the clear film used for the labels was out of step with the highly competitive Irish soft drinks market. However, it was felt at the time that the planned rebrand was too radical to include a change of format. After two years on the market the opportunity to revisit the label material presented itself in the shape of the new Food Information Regulation. 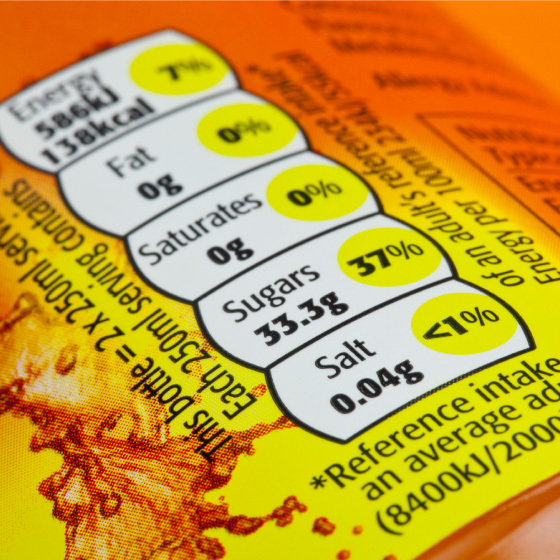 The new regulations governing presentation of ingredients and nutritional information on food and beverage packaging meant the entire range of labels would have to be revisited anyway. 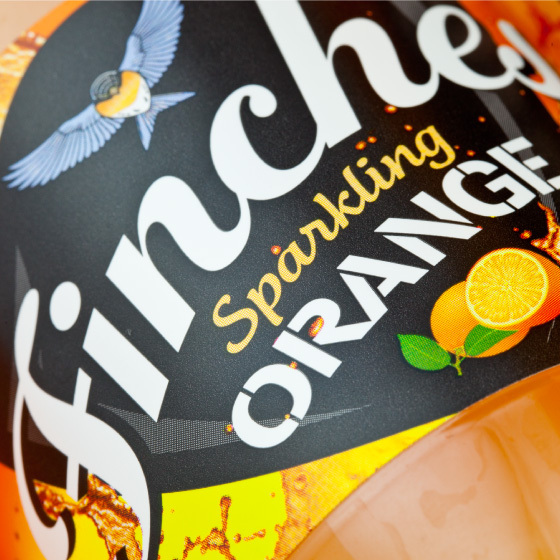 Gleeson C&C seized this opportunity and asked us to redesign the Finches range to be produced on new, higher impact and more vibrant paper labels at the same time. We reworked the established brand elements and adapted the colour specifications to provide maximum shelf shout in what is one of the most competitive and noisy retail spaces, soft drinks labelling. Other tweaks were made to make the branding stand out more and a splashing orange image was added to add a level of energy and dynamism to appeal to a younger consumer.